A Roast Beef Tenderloin is wonderful all by itself; no sauces are needed and you can "skip" any "rubs." You only need a little olive oil and some Kosher salt and coarse black pepper. Add a few herbs if desired. This is an all-time favorite beef items to serve on special occasions or - to make one. So having said that, I will also suggest that you can consider serving a delicious Bearnaise Sauce or Bordelaise Sauce on the side as an additional treat for those who enjoy such enhancements. For some people, I also serve Horseradish Sauce on the side. 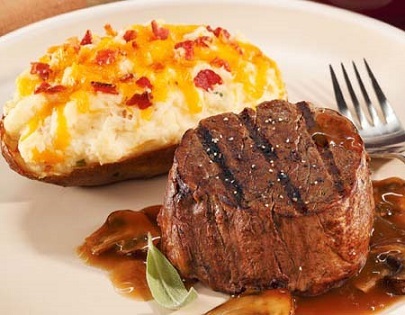 I also have many restaurant guests who enjoy their beef topped with a Bleu Cheese Butter. (This is what the tenderloin loin strip looks like after it is "peeled" and ready for portioning). 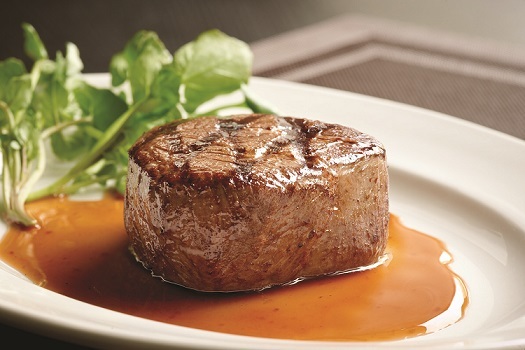 A tenderloin steak is called a filet mignon and is considered by many beef lovers as their ultimate favorite. It is tender, flavorful and has very little waste or fat. It's also very simple to make; just rub a tenderloin roast with olive oil and some seasonings and roast! (use your meat thermometer). 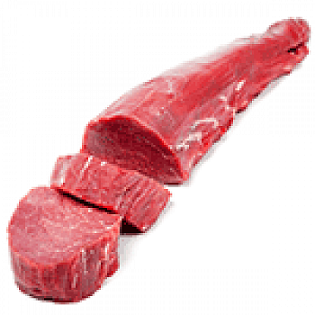 Beef tenderloin is widely appreciated for all the reasons just mentioned. Beef tenderloin is also expensive for all the reasons given. 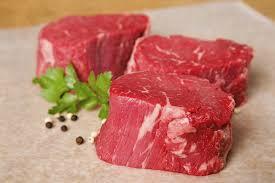 If you wish to purchase the best beef tenderloin on the market, buy the best natural beef. If you follow the directions for this beef recipe, you and your guests will have melt-in-the-mouth flavor. The meal will be memorable - and for what you'll spend to bring perfection to the table - let's hope it is remembered for a long time. Preparation time: 5 minutes. Serves 10-12. (Topped with a delicious butter, as was requested). 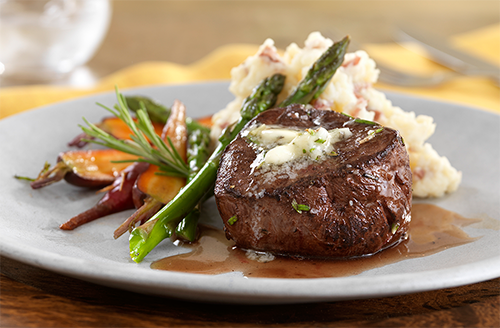 Enjoy your roast beef tenderloin and the company of those you share it with!